"Let Us Put The Fun In Your Event!" More Bounce Party Rentals the top choice for party rental equipment from table and chair rentals, bounce house, tent rentals, and party supplies in Auburn Hills, Clarkston, Rochester Hills, Bloomfield Hills, Michigan and the surrounding areas. Here at More Bounce Inflatables, we know how stressful it is to plan for a party. For this reason, we are dedicated to taking the frustration out of the party planning process by providing excellent customer service, and on time delivery services. We offer delivery to your home, business, and other functions, as well as the set up, and take down of our rentals. From bounce house's, water slides, concessions, to tents, tables, chairs, and other party supplies, we will make sure you have everything you need for your unforgettable event! We take pride in offering affordable rental pricing and excellent customer service. When you rent from us, we guarantee clean, safe bouncers tents, and equipment. After each rental, More Bounce takes the time to clean, and sanitize each inflatable for the safety of our customers. We have party rentals and inflatable rentals for kids and adults ages 1 - 100. We are also fully licensed and insured. We offer price matching for any written estimate, ensuring you receive the best price available. • "WE GUARANTEE CLEAN AND SAFE BOUNCERS" Quality Bounce House, Party Supplies and Customer Service! Your inflatables, and other equipment are delivered on time by our friendly and reliable drivers and staff. 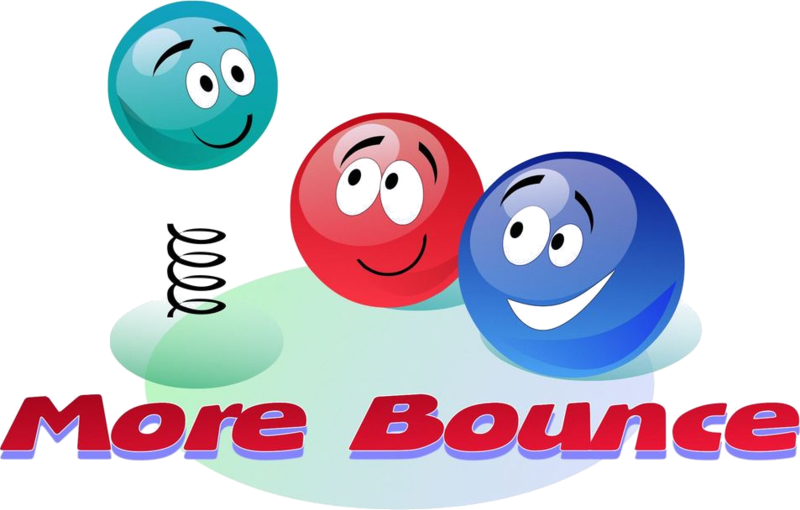 At More Bounce we deliver, set-up, and take down everything letting you focus on your party. • "WE ARE LICENSED AND INSURED" We are registered with most county and state parks, and have no problem bringing rentals in for you. • "CUSTOMER SATISFACTION GUARANTEED" Our Bounce House, Party Rentals are clean and safe. We answer all calls and messages promptly. We are part of our community, we take pride in donating our time to help you plan the perfect event. For additional information about our bounce house and party rentals, contact More Bounce Inflatables today. Based out of Auburn Hills, MI our rentals are available to Rochester, Rochester Hills, Waterford, Bloomfield Hills, Pontiac, Bloomfield, Orion Township, Shelby, Royal Oak, Birmingham, Sterling Heights, Clarkston, and the surrounding areas. No area is too far give us a call.